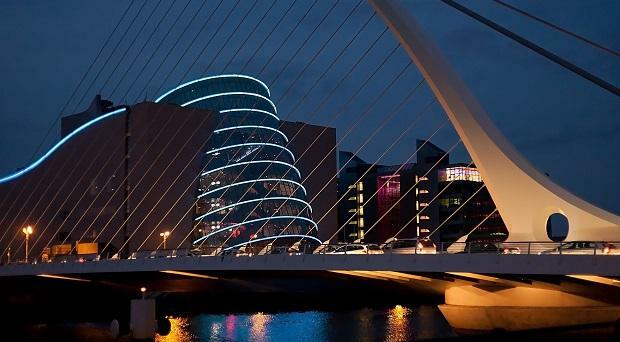 Companies in Ireland can unlock huge revenue potentials and establish the country as a digital powerhouse on the global stage. But only if leaders are more proactive in making the decision to go ‘digital first’. With European headquarters for Google, Facebook, Paypal, Microsoft, Yahoo and Apple in Dublin and Cork, digital is here. The value is in the virtual and its time to now continue to capture the economic momentum, according to new research in a White Paper commissioned by Cognizant – The Work Ahead – Europe’s Digital Imperative. Businesses and individuals must now put their foot on the pedal around digital and accelerate where they can and adapt to an era of Artificial Intelligence, bots and algorithms, while arming themselves with new data and insights, says author Euan Davis. “The shiny new app, the slick website, the sensor-enabled shoe, toothbrush or tennis racket are all fine and great things are happening. However leaders are missing the massive opportunity to apply process automation – software robots taking over certain jobs and job tasks – to reduce costs in the middle and back offices. Missing out on these savings is essentially a self-imposed tax on your business future”, states the report. The research, undertaken in conjunction with renowned economist Nouriel Roubini, surveyed 800 senior executives across Europe as part of a global study into understanding the changing nature of work and what constitutes success in the digital age. •	Companies reported a 5% uplift in revenue thanks to digital technologies, equivalent to $150 billion in the last year alone. •	Executives expect the total potential revenue impact of digital technologies to grow the pie by 8.4% over the next two years. •	Staying behind the digital curve could cost companies in the region of $808 billion in total value by 2018. However, digital is not just for sales and marketing. Leaders are capturing value by applying process automation – software robots taking over certain jobs and job tasks – to reduce costs in the middle and back office as well. Within Europe, the impact of digital transformations not just on revenue but costs saved on the industries surveyed in the Cognizant report - retail, financial services, insurance, manufacturing and life sciences—adds up to $930 million in value by 2018. If extrapolated across all European organizations, then the total would add up to $10 trillion. Life sciences and retail are the biggest potential winners from digital transformations, with their value expanding by 32% and 31% respectively. The survey results show that taking a more focused approach to leading people and organisations through the digital switch is essential. Managerial respondents to the survey felt there is a worrying lack of clarity around digital strategies at the top of their organisations (37%), a lack of urgency (35%), and a need for stronger direction. In fact, one third of respondents do not believe they have the right executive leadership in place to deliver, or worse, do not know what needs to be done. Investing too little in new technologies (30%), a reluctance to explore new ways of working (29%), and failing to install the right digital talent (28%) are all leadership challenges. “Finding the money, talent and grit needed to navigate the shift to digital is the key to European companies seeking to secure their digital futures”, says Davis. “If being digital isn’t your number one priority, then you’re swimming against the tide”. How will your business evolve in the digital economy and what will it look like by 2020? Read the full Cognizant Whitepaper here ‘The Work Ahead: Europe’s Digital Imperative’.